If you are reading this, it means that you are a responsible user who takes care of your personal data. In this privacy notice we will explain to you why we request your information, under what circumstances and how we take care of it. Our activity: We are a business group that has cultural, natural, ecological, adventure parks with a unique hotel, which offers our visitors and guests different ecological, cultural and fun experiences. Our phone number: +52 (998) 884-9422 Ext. 11469. Responsible one for the protection of your data: The Department of Information Protection is responsible for ensuring the security of your information. When you ask us something through chat, we will ask you for your email and your name. When you want to subscribe to receive promotions, we will ask for your name, surnames, email and country of origin. When you quote to buy any of our products, services or activities with us, we will ask for your email. When you make a purchase and have an account with us, we will request your email and password. When you make a purchase and do not have an account with us, we will ask for your name, surname, email address, phone number, state, country of origin and hotel where you are staying, and we will ask for your bank details and address to make the purchase. If you want to have an account, just add a password. When you request details for Groups and Conventions, we will ask for your name, surnames, phone number, email and country of origin. When you request details for your wedding, we will request your name, surnames, phone number, email, country of origin, state and city. When you have any questions or suggestions through our Contact Us, we will ask for your name, phone number and email address. When you sign a Consent Form for any of the extraordinary activities we offer in our parks. We will never request sensitive personal data on any of our sites. We will not ask for your username and password by phone or email. We will never ask for credit or debit card details, unless you are making a purchase. When you connect to this site, to make a consult by chat, to subscribe, to quote, to buy or to request information, you are providing us with personal information, and you are giving your consent for your information to be collected, used, managed and stored by us, just as it is described in this privacy notice. To provide you with the information that you have requested. To send you promotional communications related to any product or service available on our sites. In each newsletter and marketing email that is sent to you, a link must be included to automatically unsubscribe your email. To perfect, carry out and control the correct fulfillment of the contract and comply with the legal obligations of Grupo Xcaret. To respond to requests, suggestions or questions through our Customer Service Department. To grant you the service of our extraordinary activities within our parks. To provide the services and products that you have purchased. To conduct internal studies on demographic and statistical data. To know the interests of our users. To support and improve the services offered by our sites, in such a way that we can provide you with a more satisfactory experience. To inform our users about new products or services that are related to the contracted ones. To evaluate the quality of the service. To inform about changes to our products or services and provide a better service to the user. Other non-identifying data obtained through some cookies that are downloaded to your computer when you browse our sites and that we detail in the cookies policy are also collected. The above data processing is subject to your consent, we will NEVER use your data for anything else and will NEVER sell your information. Cookies are text files that are automatically downloaded and stored in the computer's hard drive while navigating in a specific web page, allowing the Web server to recall some facts about the user, including preferences for the display of pages on that server, username and password. In some sections of our site we require that the client have cookies enabled since the functionality requires them to work correctly. In the case of cookie use, the "help" button found in the toolbar in the majority of browsers will help you know you how to avoid accepting new cookies, what steps to take so your browser can send you a notice every time a new cookie is received or how to disable all cookies. A personal identification number which only the user can access and which only he has knowledge of secures the information provided by the user. We recommend that you do not divulge your password to anyone. In this topic, the team of collaborators of Grupo Xcaret has focused its efforts to offer the latest updated technology in order to provide the highest security possible. You may stop receiving promotional messages by landline or cell phone and stop receiving email or postal mail advertising by asking to unsubscribe the following phone number: +52 (998) 884-9422 Ext.11469. If you participate in the email promotions service, you can disable the service at any time. Opt-out: In regards to the publicity and promotions sent to you via email, we will inform you in each case how to unsubscribe easily and at no cost. To request the access to your personal data. To request the limitation of treatment (use and disclosure). To oppose to the data processing we are giving you. The portability of your data. Revocation of consent to the processing of data. The exercise of these rights is personal, which means that the interested party must request it from the person responsible for the protection of their data, that is, the Department of Information Protection. Business hours: From Monday to Friday from 9:00 a.m. to 7 p.m.
We will assist you quickly, within a period no longer than 15 business days. We advise you to keep your data updated so that we can provide a more personalized service. We will keep your information until you ask us to delete it. It is important to let you know that, for marketing purposes, we share your information with our affiliate companies: Experiencias Xcaret Loyalty S.A.P.I de C.V., Experiencias Xcaret Hoteles, S.A.P.I de C.V, Naturama Tours Adventures S.A. de C.V. and Naturamaya Ventura S.L. to propose to you the best offers of our Hotel and Vacation Club in the case in which you are subscribed with us. We also send information to comply with the aforementioned uses and comply with the obligations contracted with you, our customers. Use of SSL (Secure Socket Layer) certificates on our sites. Security procedures with our staff. Limitation of access to the databases where the data is stored. Implementation of best practices on servers to keep your information safe. Implementation of controls to comply with the LFPDPPP and the RGPD. We are concerned for the safety of our visitors, guests and collaborators, as well for our administrative facilities and parks, it's necessary to communicate that we have internal systems and video recording circuits, which can capture images and, in some cases, sounds which are consider as personal data, which will be treated and protected in the terms provided in this privacy notice. 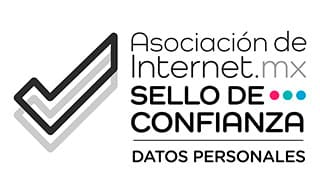 The LFPDPPP (Regulation of the Federal Law on Protection of Personal Data Held by Private Individuals) which is the law that is responsible for protecting personal data in Mexico. The GDPR (Regulation (EU) 2016/679 of the European Parliament and of the Council of April 27th, on the protection of natural persons) which is the new regulation of the European Union regarding the regulation of processing the personal data. When you provide us with your information and check the consent box, it means that you agree to have your information processed in the aforementioned terms. We recommend that you check this PRIVACY NOTICE periodically, since we make updates and changes to adapt it to the laws that apply in terms of the protection of personal data and internal policies. In case of entering your personal data in any of our purchase forms check the acceptance checkbox, you will be notified about the update. Last update on January 20th, 2019 (Twenty of January of the year two thousand and nineteen).